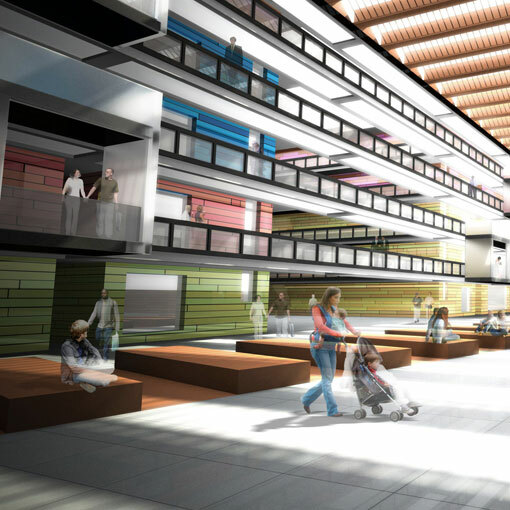 The iconic Bell Labs building designed by Eero Saarinen is undergoing redevelopment to eventually become a multi-use structure for the township of Holmdel. 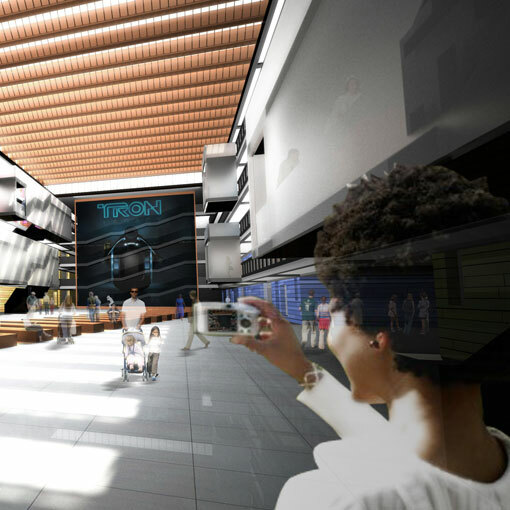 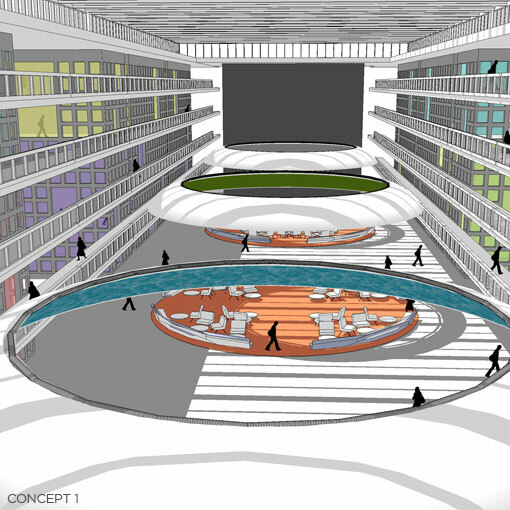 JZA+D proposed a design for the main atrium that would continue the legacy of the original architect while clarifying circulation and organization. 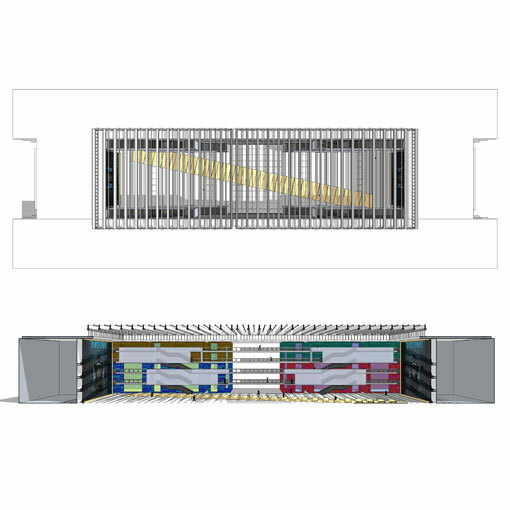 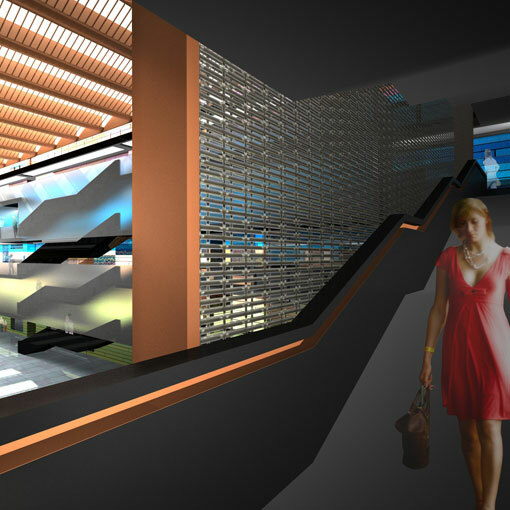 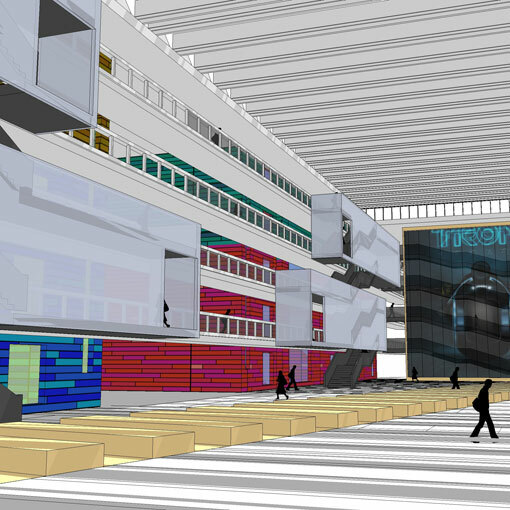 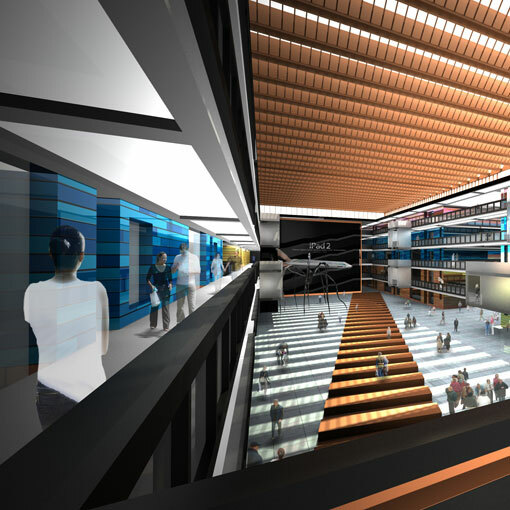 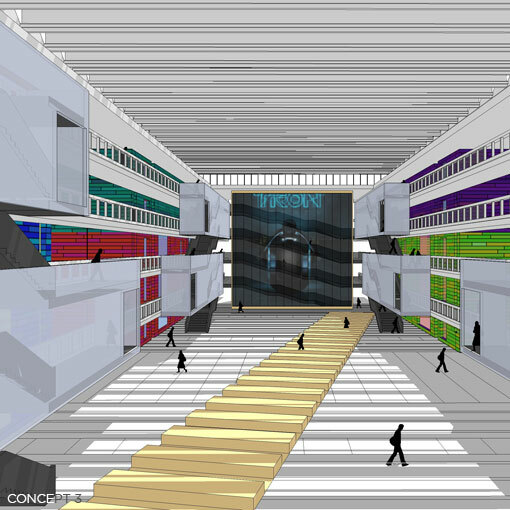 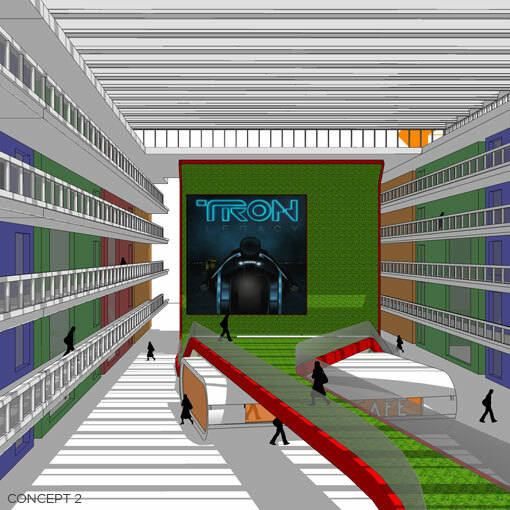 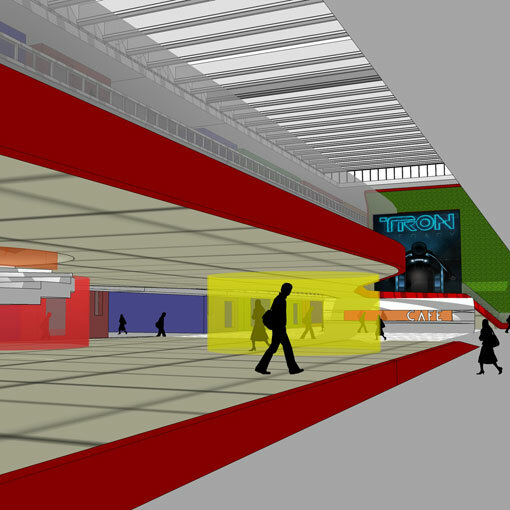 A network of stairs added to the existing corridors allowed access to the upper floors from the main atrium, and vibrant colors differentiate between the various uses–from medical offices to retail. 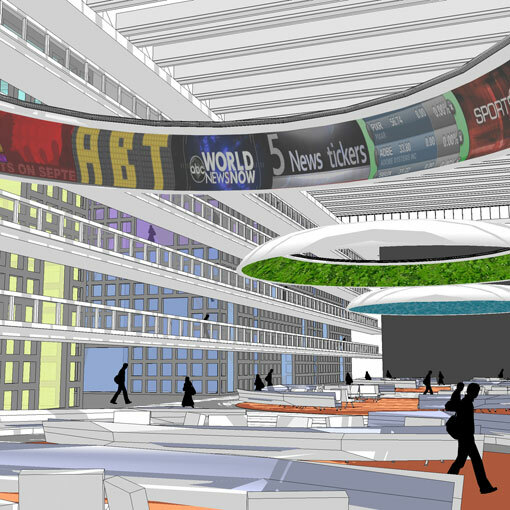 Adding LED screens at each end of the enormous atrium, coupled with new seating areas, creates a dynamic public space for the residents of Holmdel. 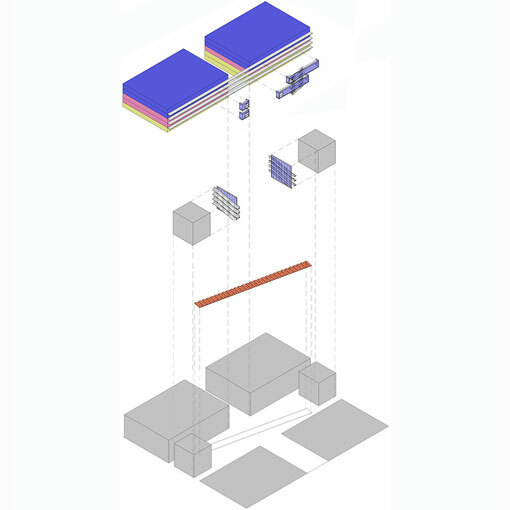 In 2013, JZA+D was selected as one of three architects to do tenant design and fit-out work for the adaptive re-use project.